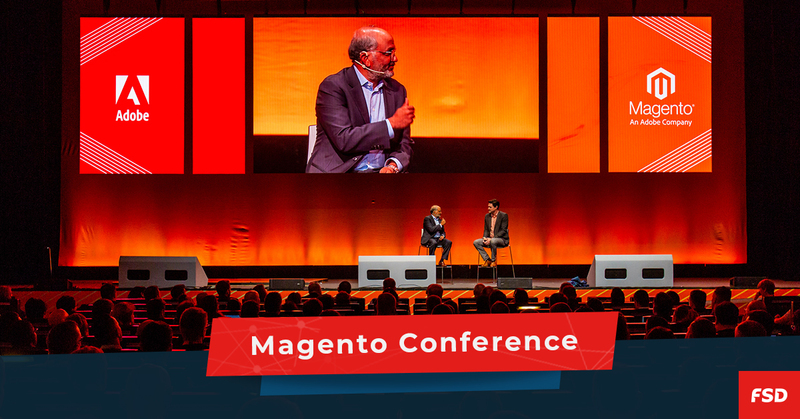 One of the biggest Magento conferences in Europe, MagentoLive, was held on the 9th and 10th of October in Barcelona. We were excited to travel there with our clients and learn something new, while doing a new project based on Magento with them. This year, MagentoLive Europe hosted biggest innovators in e-commerce at the Palau de Congressos de Catalunya. The conference brought together communities across the continent for two days of education and networking. We discovered first-hand what is new in the world of digital commerce and the Magento ecosystem. As we expected, there was a lot of talks about Adobe and the latest Magento 2.3 update. Besides that, we found lectures about Alexa voice commerce and mobile e-commerce particularly interesting. There was also a lot of very useful user stories, where e-shop owners shared their stories of success. The most useful lectures were the ones about progressive web apps. We made our first PWA at the conference and we plan to implement it into our day-to-day development. We would definitely recommend you to visit MagentoLive, especially if you are a business owner, top management or a product owner. The conference is a great place for networking and learning about different business strategies through user stories. See you there next year!